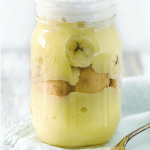 Gluten-Free Banana Pudding -- just as good as the original! 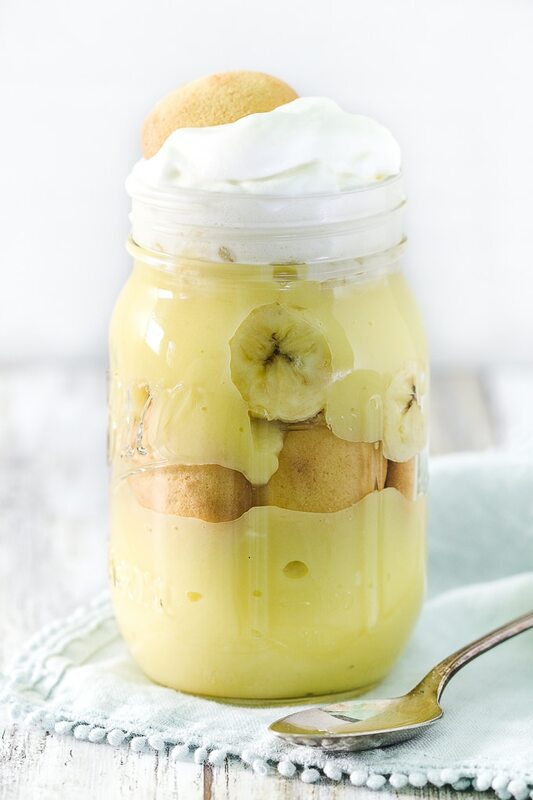 Quick, easy & delicious, this Gluten-Free Banana Pudding recipe has all the great taste of traditional banana pudding. Last week’s post – if you’ll recall – was all about making my youngest taste tester happy. This week’s post is all about making my oldest taste tester happy — my husband. I won’t bore you with the details of how we came to discover that he has sensitivities to gluten, but I will tell you it’s been tough at times to recreate family favorite recipes as gluten-free. Fortunately, there are SO many wonderful gluten-free products on store shelves these days that weren’t there just five years ago… or at least, they weren’t on OUR store shelves five years ago. In fact, the gluten-free vanilla wafers I’m using in today’s gluten-free banana pudding weren’t even on our local store shelves five weeks ago. Earlier this month the first Sprouts Farmer’s Market in our area opened to much excitement. The excitement was partly fueled by the fact that we just recently lost our Whole Foods. I’ve been wanting to make a gluten-free banana pudding for my husband for years. But truly, there were no gluten-free vanilla wafers to be found in this town, until I found them at Sprouts last weekend. For as long as I’ve known my husband, I’ve known that this was his favorite dessert. So I was a little nervous at first to tinker with such a beloved family favorite. The verdict, though, was that this one’s a keeper. Let’s just hope Augusta feels the same about our new Sprouts. 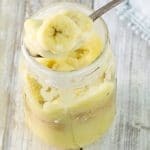 Quick, easy & delicious, this Gluten Free Banana Pudding recipe has all the great taste of traditional banana pudding. Whisk together sweetener* and salt in a medium saucepan. Combine cornstarch and water to form a slurry. Add milk, slurry and eggs to saucepan, whisking well to combine. Bring to a boil over medium-high heat, stirring constantly; cook until thickened. Remove from heat; stir in vanilla. 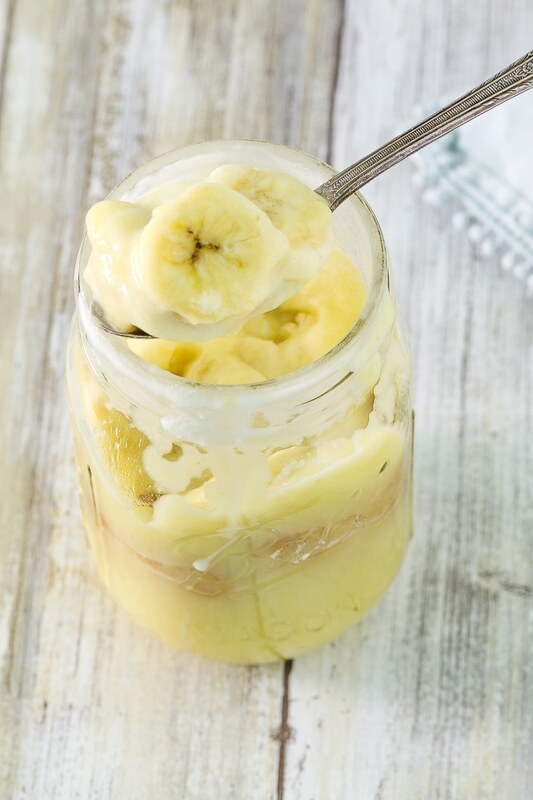 In individual bowls or jars, layer 8 wafers, half a banana, sliced, and 1/2 cup pudding. Top with whipped cream, if desired. *In all of my recipes, I use a homemade granulated sweetener mixture composed of equal parts granulated sugar and Swerve, granular. Using this ratio cuts the sugar in half and my family loves the taste. If you prefer, you can use all sugar in any of my recipes calling for “granulated sweetener”. Please Note: This post may contain affiliate links. I may receive a small commission at no extra cost to you. I only use affiliate links for products I believe in.